The European ALMA Programme Scientist, Leonardo Testi, explains the significance: "The new receivers will make it much easier to detect water, a prerequisite for life as we know it, in our Solar System and in more distant regions of our galaxy and beyond. They will also allow ALMA to search for ionised carbon in the primordial Universe." It is ALMA's unique location, 5000 metres up on the barren Chajnantor plateau in Chile, that makes such an observation possible in the first place. As water is also present in Earth's atmosphere, observatories in less elevated and less arid environments have much more difficulty identifying the origin of the emission coming from space. ALMA's great sensitivity and high angular resolution mean that even faint signals of water in the local Universe can now be imaged at this wavelength. The Band 5 receiver, which was developed by the Group for Advanced Receiver Development (GARD at Onsala Space Observatory, Chalmers University of Technology, Sweden, has already been tested at the APEX telescope in the SEPIA instrument. These observations were also vital to help select suitable targets for the first receiver tests with ALMA. The first production receivers were built and delivered to ALMA in the first half of 2015 by a consortium consisting of the Netherlands Research School for Astronomy (NOVA) and GARD in partnership with the National Radio Astronomy Observatory (NRAO, which contributed the local oscillator to the project. The receivers are now installed and being prepared for use by the community of astronomers. To process the data and check its quality, astronomers, along with technical specialists from ESO and the European ALMA Regional Centre (ARC) network, gathered at the Onsala Space Observatory in Sweden, for a "Band 5 Busy Week" hosted by the Nordic ARC node (http://www.nordic-alma.se/). The final results have just been made freely available to the astronomical community worldwide. Team member Robert Laing at ESO is optimistic about the prospects for ALMA Band 5 observations: "It's very exciting to see these first results from ALMA Band 5 using a limited set of antennas. 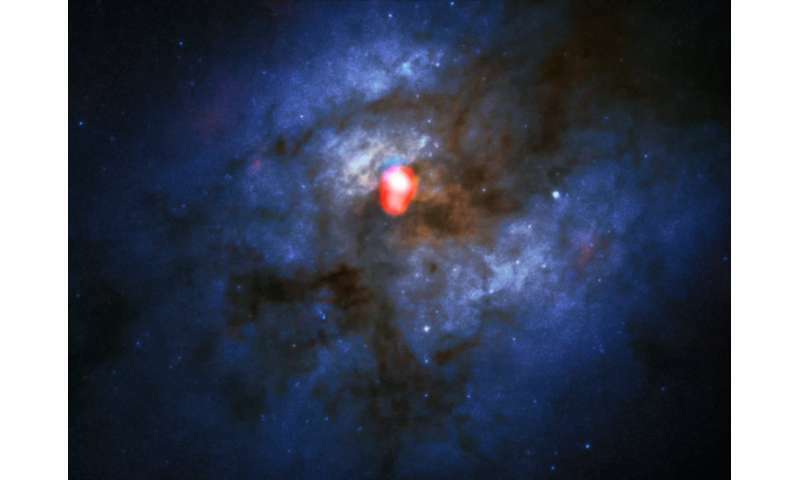 In the future, the high sensitivity and angular resolution of the full ALMA array will allow us to make detailed studies of water in a wide range of objects including forming and evolved stars, the interstellar medium and regions close to supermassive black holes." For those who are curious, band 5 is 163 - 211 GHz. Had to google it - can't understand why they wouldn't list the frequency in the article.